Can A Gold IRA Safeguard Your Retirement? A carefully planned, executed, and funded Gold IRA can be the best way to maximize your chances of achieving a secure and comfortable retirement these days. There are few, if any, asset classes besides precious metals (and specifically gold and silver) that can parallel the investment power and insurance quality of a self-directed gold-funded IRA. Why this is so you can read in the essay The Continued Upside for Gold - Why Gold Will Keep Rising (2011) right here at the Small Business Goldmine. If you currently have your retirement nest egg in a 401k or similar account (like a 401a, 403b account, etc.) that qualifies for tax deferred contributions, you can set up a self-directed traditional IRA account, transfer ("rollover") your existing assets into the new account, and then direct the "custodian" of your self directed IRA account to purchase gold-related investments to fund your self-directed IRA. This does involves a little bit of time and some thorough reading and understanding of the required forms and how to fill them out correctly, but it will be well worth your time and effort. There are a great number of choices regarding the most advantageous location for your Gold IRA assets. Most people think that any bank will do just fine, but that is no longer the case, if it ever was. One very important consideration is the legal/governmental jurisdiction where you intend to keep your assets. Traditional tax and asset 'safe heavens" like Swiss banks or the Caribbean islands of Belize, Bahamas, or the Cayman Islands are out the window when it comes to that. The United States and EU governments have virtually destroyed these former financial safe heavens under the guise of the of prosecuting "tax cheats." Is the Government After Your 401k? There have been (thus far unconfirmed) suspicions that the current US administration is planning to force all US retirement accounts to convert their assets to US treasury bonds, at least in part. The rationale behind these suspicions comes from the fact that the US government is broke, that the US Fed is "out of bullets" and that international investors and savers are beginning to slowly rotate out of US treasuries as the erstwhile number one safe-haven investment of the world. Fact is, however, that the US Fed has recently announced what it calls "Operation Twist" whereby it will sell shorter term treasuries (under two years maturities) and buy longer term US treasuries (ten years and up) in order to keep long term interest rates at low levels to help the US economy recover. It is clear from this that the federal reserve governors are at least concerned that they may soon begin to lose control over long term interest rates if they rely solely on their traditional open market operations. If their concern persists when the Fed starts to run out of shorter term treasuries to sell, the suspicions may very well materialize and turn into reality - and that can happen faster than anyone expects. The point is that it may well be wise to put your retirement savings into accounts that are held abroad where the US government cannot hold sway with a simple presidential executive order, for example. A self-directed traditional IRA does not necessarily have to be a gold IRA. It can be funded with a wide range of tangible or intangible asset, even real estate. Within the Gold IRA category, there are also varying options. You can find out more on this topic on this page. You can fund a Gold IRA with gold bars, gold coins, gold certificates, gold ETF shares, or with what is known as "online" or "digital gold currency." Like with everything else, there are advantages and disadvantages to holding either gold asset category. Digital gold has the advantage of being readily convertible to ordinary bank deposits within a very short period of time, usually no more than 24 hours. 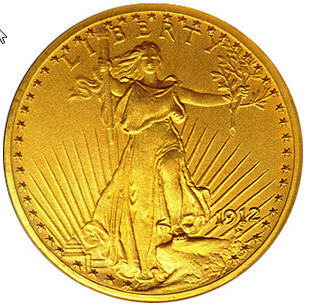 Holding physical gold bars or even American Eagles or other gold coins in an account can present a more serious time challenge. If a prospective retiree chooses digital gold to fund his or her gold IRA, of utmost importance is the reliability of the company that provides the digital gold currency. Over the years since first starting to write about gold investments and currency concerns, I have come to trust GoldMoney more than any other digital gold currency provider. GoldMoney offers its users the ability to hold its gold currency in self-directed Gold IRA Accounts via Entrust Retirement Services and the use of a special Trust located in Hong Kong. (On GoldMoney's website, find the link by letting your cursor hover over the "Buy Precious Metals" tab on the top navigation bar). GoldMoney is domiciled on the British Isle of Man, a well known and well-respected offshore jurisdiction that has so far not been singled out by either the US or EU authorities for extraordinary tax law enforcement. Of course, it is important not to try and use an offshore company to manage assets in order to circumvent US or other countries' tax laws. Rather, the point of having an offshore account is to avoid the immediate consequences of the - today ever more likely - possibility of your own government "going rogue" and trying to dictate to you what types of assets you must depend on in financing your retirement.